Start off your visit on the 25th (Thu): admire the masterpieces at Queen Victoria Museum & Art Gallery and then stroll through City Park. Get ready for a full day of sightseeing on the next day: take in the exciting artwork at Design Centre Tasmania, then identify plant and animal life at Cataract Gorge Reserve, and then appreciate the views at The Tamar Valley. 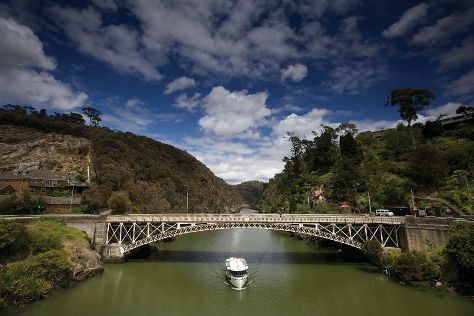 For more things to do, traveler tips, maps, and more tourist information, go to the Launceston itinerary builder website . Sydney to Launceston is an approximately 5-hour flight. You can also do a combination of flight and bus; or do a combination of train, ferry, and bus. Traveling from Sydney in April, expect Launceston to be a bit cooler, temps between 20°C and 7°C. Finish your sightseeing early on the 26th (Fri) to allow enough time to drive to Coles Bay. 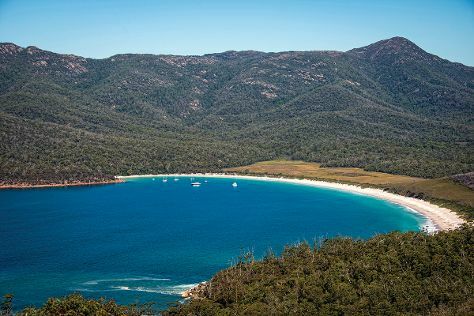 Start off your visit on the 27th (Sat): don't miss a visit to Bicheno Blowhole, then get up close to creatures of the deep with a dolphin and whale watching tour, and then trek along Wineglass Bay Lookout. For other places to visit, ratings, where to stay, and tourist information, you can read our Coles Bay trip itinerary planning app . You can drive from Launceston to Coles Bay in 2.5 hours. Alternatively, you can do a combination of bus and car; or take a bus. Finish your sightseeing early on the 27th (Sat) to allow enough time to drive to Port Arthur. 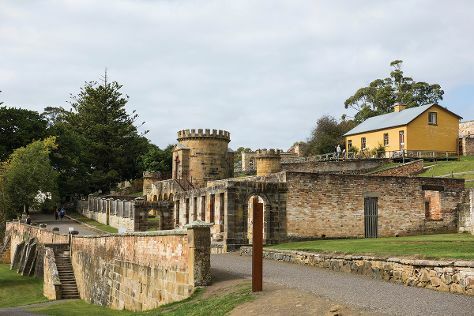 On the 28th (Sun), browse the exhibits of Port Arthur Historic Site, look for all kinds of wild species at Tasmanian Devil Unzoo, and then don't miss a visit to Remarkable Cave. To find reviews, ratings, traveler tips, and more tourist information, go to the Port Arthur trip planning app . You can drive from Coles Bay to Port Arthur in 3.5 hours. Another option is to take a bus. In April, plan for daily highs up to 21°C, and evening lows to 9°C. Wrap up your sightseeing on the 28th (Sun) early enough to drive to Hobart. 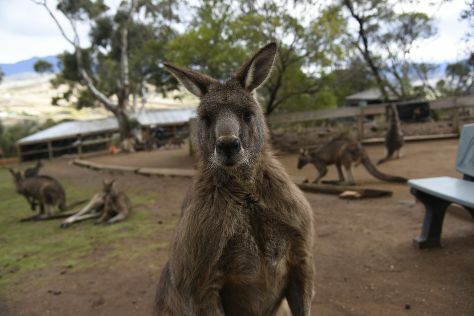 Venture out of the city with trips to Bonorong Wildlife Sanctuary (in Brighton) and The Sensory Tasmania (in Richmond). On the 30th (Tue), give your taste buds a day to remember with a local gastronomic tour. The adventure continues: admire the natural beauty at Royal Tasmanian Botanical Gardens, get to know the fascinating history of Battery Point Sculpture Trail, step off the mainland to explore Macquarie Island, and take in the awesome beauty at Mount Wellington. Plan my Hobart trip by asking Inpirock to come up with tips and suggestions. Traveling by car from Port Arthur to Hobart takes 1.5 hours. Alternatively, you can take a bus. In April in Hobart, expect temperatures between 21°C during the day and 9°C at night. Wrap up your sightseeing on the 2nd (Thu) to allow time to travel back home.